Central House, Sir John Cass Art School in the background is also likely to become rubble. Sold recently for 50 million pounds to Frasers Property UK (FPUK) by London Metropolitan University. ‘stunning’, ‘urban’, ‘penthouses’ – 463 one-bedroom suites, one, two & three-bedroom apartments and luxury penthouses. These will surely be above £400,000 each! and Oxford St is a facade, is there rubble behind it? Surely these are going to be in the ‘luxury’ bracket! individual shapes and consistency came to the fore. only the facade here on the left opposite the market remains. 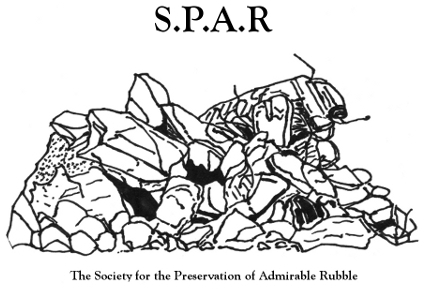 This entry was posted in Uncategorized on March 19, 2016 by Society for the Preservation of Admirable Rubble (S.P.A.R).